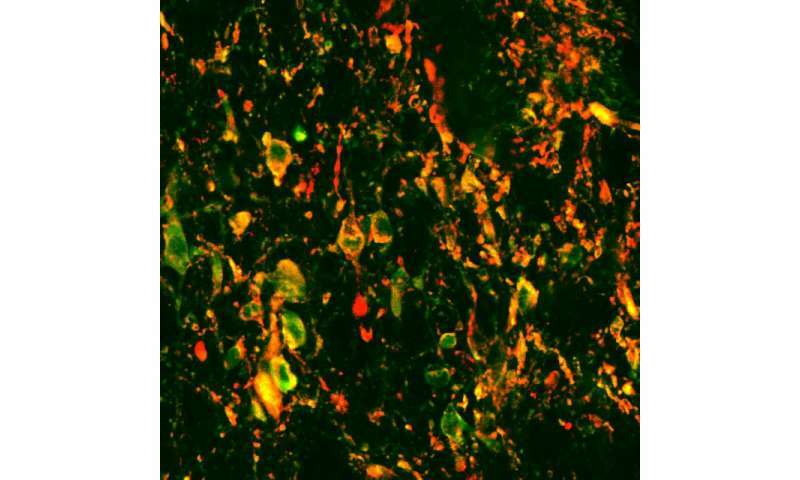 Columbia neural engineers discover a mechanism by which the locus coeruleus modulates information processing in the thalamus; their findings of how sensory information is encoded in the healthy brain may lead to new treatments of neurological disorders such as Parkinson's disease, Alzheimer's, epilepsy, and depression. In daily life, how our brain processes sensory information depends upon on our state of mind, for instance, how drowsy or alert we are. Biomedical engineer Qi Wang, whose research focuses on deciphering neural codes that underlie our perception and cognition, wondered if state of mind—whether we are anxious, attentive, or relaxed—affects the way we perceive the world. If it does, and we can understand the mechanisms underpinning brain-state-dependent regulation of perception, then we can use these mechanisms to improve our perception using brain-machine interfaces. A new study from Wang, who is developing innovative ways of selectively activating neural circuitry to enhance perception and cognition, demonstrates a major advance in understanding how the locus coeruleus (LC) modulates information processing in the thalamus. The principal site of norepinephrine production in the brain, the LC is thought to play an essential role in regulating brain states such as arousal, attention, and stress. Its malfunction has also been linked to anxiety, clinical depression, Alzheimer's disease, and Parkinson's disease. Wang's group found that activating the LC improves the transmission of information about different features of sensory stimuli from the thalamus to the cerebral cortex, and subsequently perceptual performance in perceptual tasks. Through recordings and manipulations of a variety of neural circuits in the brain, they demonstrated this improvement is due to LC regulation of the interaction between two thalamic nuclei. Abnormal interplay between the two nuclei has recently been observed in several major clinical disorders, including Parkinson's disease and depression, and the Columbia Engineering findings provide insights into new treatments of these disorders. The paper was published today in Nature Neuroscience. Wang's team used a combination of different techniques, ranging from computational modeling to experimental approaches, to tackle the question of whether one's state of mind affects one's perception of the world. The group first shifted the brain into varying states of arousal by selectively activating the locus coeruleus-norepinephrine (LC-NE) system. Then they recorded the responses of single neurons in the somatosensory pathway to different sensory stimuli under varying conditions of arousal. The team applied information theory to analyze how sensory-related information is transmitted by the spike train of thalamic sensory neurons, the language that neurons use to "talk" to each other, and found LC activation resulted in a dramatic increase in information transmission rate and efficiency. By controlling the activity of the LC, they were also able to improve the perceptual performance of the brain in behavioral tasks that required sensory discrimination. "To our surprise, we found that activation of the LC-NE system, which controls alertness and attention, dramatically increased information transmission while decreasing the total number of spikes," says Wang, an assistant professor of biomedical engineering. "That means a drastic improvement of efficiency, like a car driving a longer distance with less fuel. We've never seen results like ours before." The findings give researchers a greater understanding of how perception of the world is linked to current brain state. In particular, the study demonstrates it may be possible to regulate circuitry dynamics to improve how sensory information is encoded in the healthy brain. It also shows how abnormal circuitry dynamics are manifested in impaired information processing in the diseased brain. This could offer critical insight for developing treatments to help those suffering from many neurological and neuropsychiatric disorders. Wang hopes his work will lead to the use of electroceutical implants to modulate brain activity to correct underlying abnormalities. "Understanding how various neuromodulatory systems affect the information processing circuits of the brain will give us the tools to allow for such future devices," he observes. "For instance, we know that our levels of arousal fluctuate naturally, and this can lead to sub-optimal behavior from time to time. Our findings show that it is possible to improve perceptual and behavioral performance through control of the activity of LC-NE system, possibly via non-invasive brain-machine interfaces." The researchers are planning next to measure intracellular activity in the brain. This will shed further light on the cellular mechanisms that mediate the effects of the LC-NE system on thalamic sensory processing.